There’s nothing better than having customers come back to you and tell you how good the food you made them was – especially when they can’t help but buy our fabulous wood fired food for the second time that day! We arrived early and got to see the day progress and the buzz develop. We had a lot of people crowding around our rustic mobile wood fired oven and admiring it – some even asked us to build one in their back garden! Something James is really excited about having the opportunity to do – there will be more information about how we can help you create a stylish wood fired oven of your own appearing on the website very soon! The Wild Oven team, as always, did themselves proud and kept every last customer happy – something we love to do. 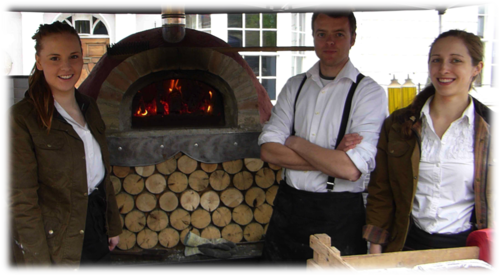 The Wild Oven can’t wait to take their roaming wood fired oven to places new – next up: The Bell, Alderminster Sunday 2nd June at 6pm!